In an industry where standards vary significantly, it is important a client selects a professionally accredited agent to ensure that the highest ethical and professional standards are adhered to. At Lauristons we take these standards more seriously than most, as it is essential all our customers have complete confidence that the advice they are being given is up to date, credible, accurate and honest. Likewise, there are hundreds of pieces of legislation that now govern the way estate and lettings agents must operate, handle client money and conduct themselves. All of our staff are rigorously trained and tested in all areas when they join the business and again annually by external third parties to make sure these standards are maintained as well as whenever there are changes to statute. 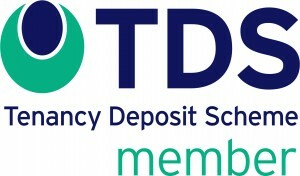 Lauristons are members of NAEA (National Association of Estate Agents), ARLA (Association of Residential Lettings Agents), TDS (Tenancy Deposit Scheme) and TPOS (The Property Ombudsman), all seen as benchmarks of professionalism that our customers can have confidence and all demanding the highest of standards and auditing before membership is granted.